Announcements / Released update version 2.4.0.0 for Steam! 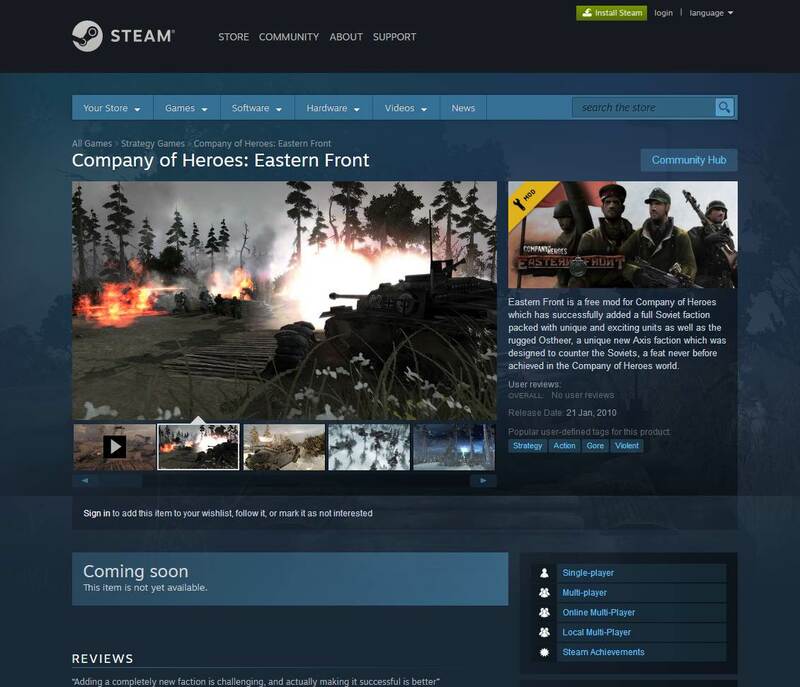 Announcements / Eastern Front on Steam! Announcements / Special Christmas Update!!! We have a special announcement for a special day ! 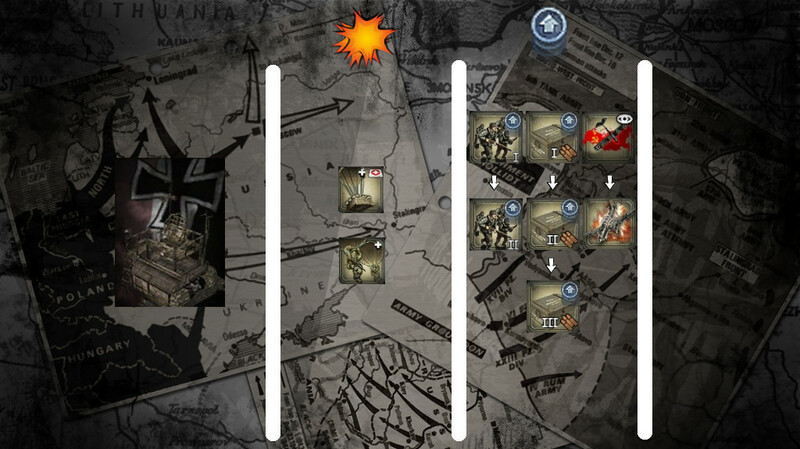 We have read the comments from players asking about the problems with Panzer Elite and Commonwealth factions as they are designed in Company of Heroes. Since we are going to make a big release into Steam we also decided some months ago to give a try to a better tech system for Panzer Elite and the Commonwealth, however, for now only the former is being worked and the latter will be started after finishing the other. 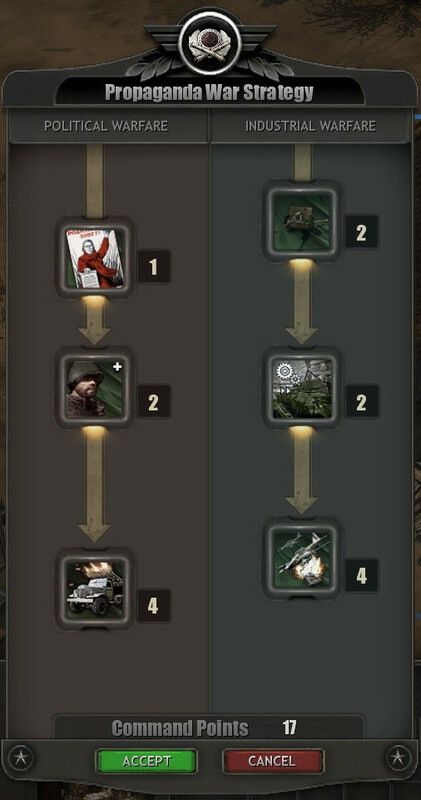 There is no changes in the Panzer Elite command trees, the changes so far only were made for the regular tech tree of the faction, and we will describe them now. The Headquarters now store some upgrades that used to be in other production buildings and what they unlock remains the same. 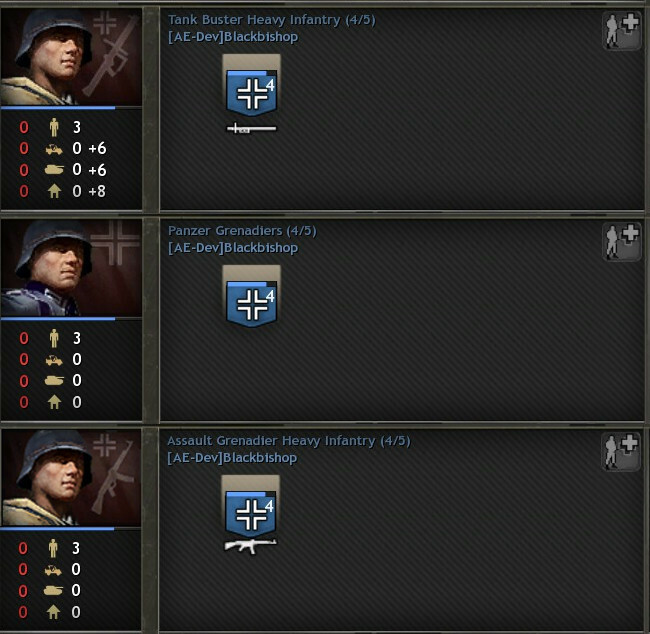 The Panzer Grenadiers are now four men squads, which means they can increase their size to five. Of course, they have become a bit more expensive because to this. They can purchase up to three different weapon upgrades and have the usual abilities. There production buildings remain the same, so there are only four to build and they cannot build defensive structures. 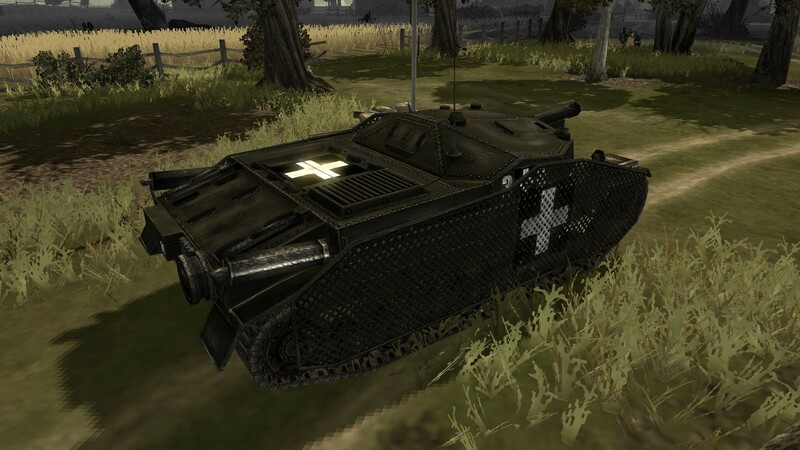 The Kettenkrad has the following changes: it has now an upgrade that allows to detect and dispose mines, it no longer has doctrinal abilities and it uses bike armour instead of the scout car one. 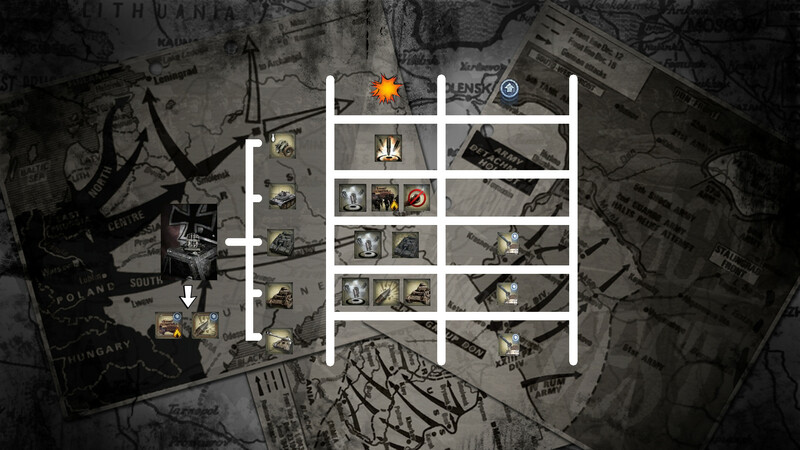 This is the current layout we are testing. It contains anti-tank grenades as global upgrade for Panzer Grenadiers infantry units. 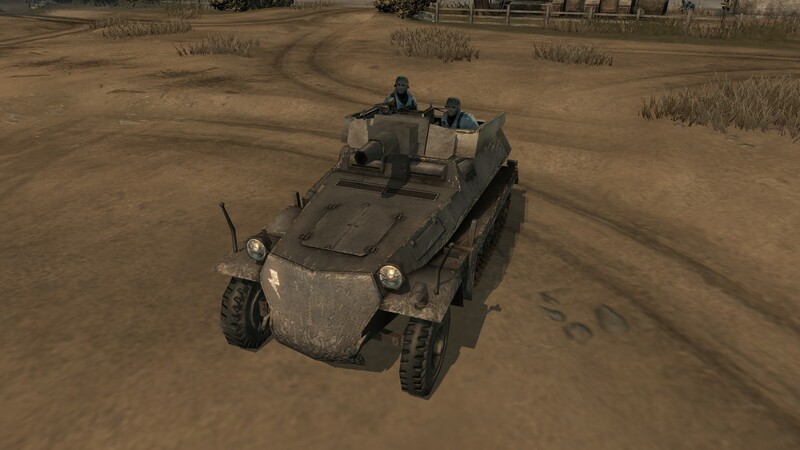 The Scout Car (Sdkfz. 221) now has better suppression rate and also can be upgraded into the unit formerly known as Armoured Car (Sdkfz. 222). This unit no longer has the upgrade to lock down sectors. The Munition Halftrack (Sdkfz. 252) works the same as it used to be for the most part but has two new features: it has the Deploy Goliath ability and can heal once Field Operations is researched. The Sdkfz. 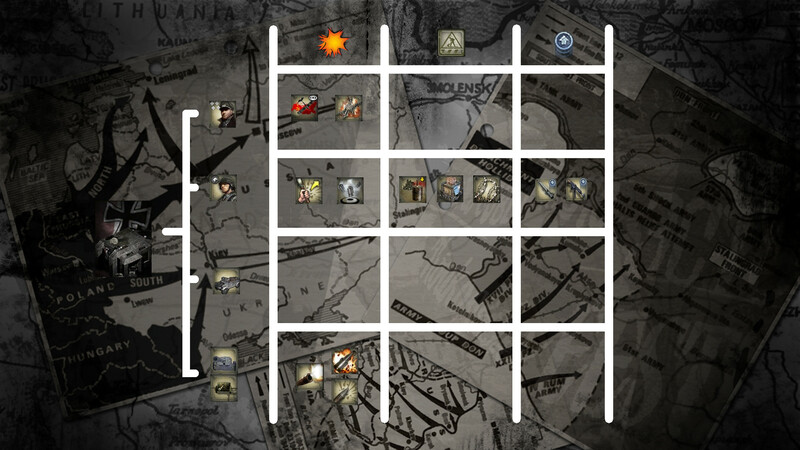 263 is now available to Panzer Elite to lock down sectors. It's offensive power is limited, due to having a single MG 34 in a fixed position. 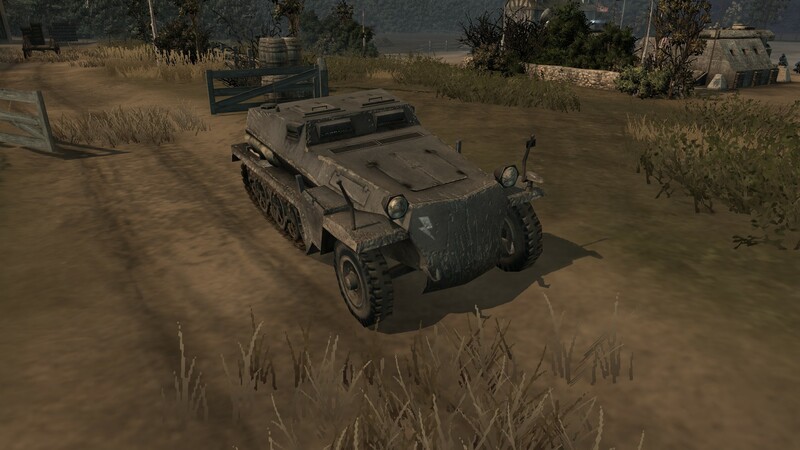 The Vampire Halftrack (Sdkfz. 250/5) now acts as support for infantry, buffing their abilities instead of diverting resources. It has the same detection range as it used to. 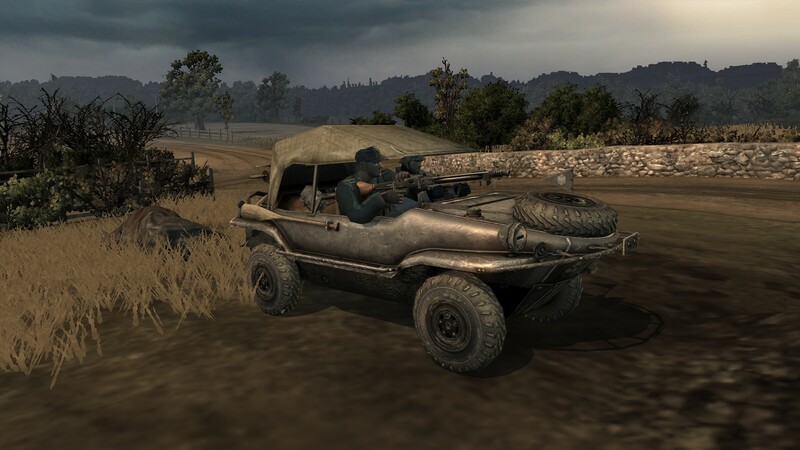 The Schwimmwagen Type 128 is a Jeep like vehicle, also equipped with a MG 42 in the passenger seat. It also can lay down mines. The infantry Halftrack (Sdkfz. 250/1) is just like it used to be in the past, the only change being that can only carry one squad instead of two. The Mortar Halftrack (Sdkfz. 250/7) has also the same abilities and stats than before, but has a squad upgrade that does something which is a secret atm . It also contains some familiar upgrades, along with a new one. 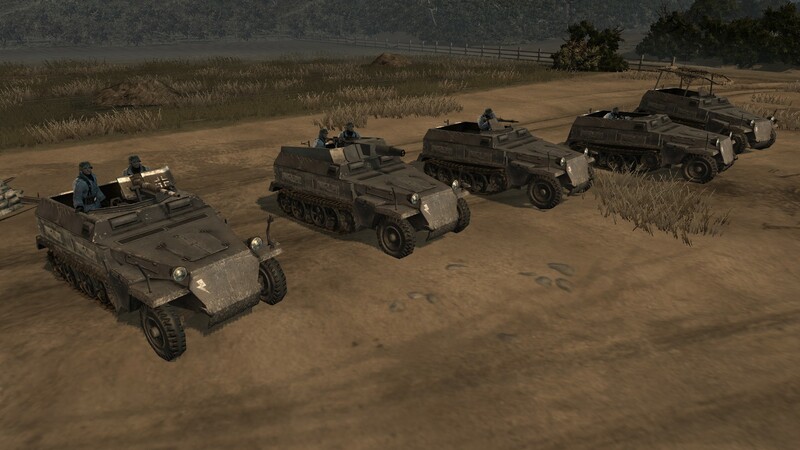 Halftracks used by Panzer Elite are the ones from the designation Sdkfz. 250 ausf. 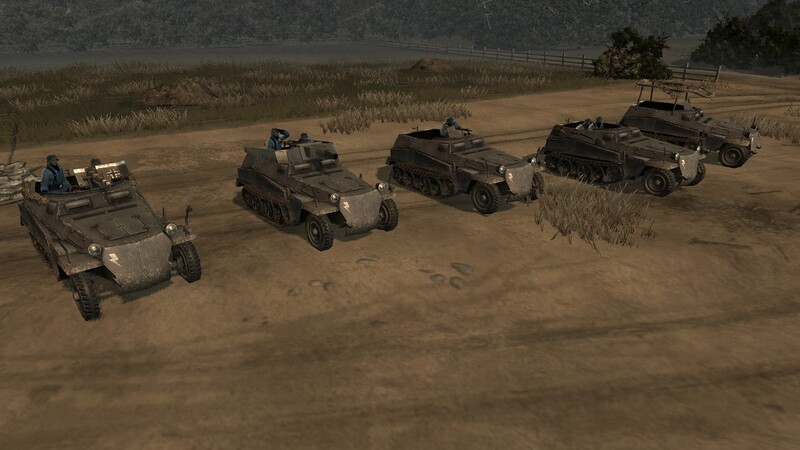 A and it has always been like that, however, with the new upgrade Halftracks will now use the ausf. B chassis that offers more protection. It is a global upgrade that improves all the Sdkfz. 250 Halftrack type-units used by this faction regardless they are built from this building or not. The units used in this building are the Tank Buster squad, the Marder III and the Stummel Halftrack. 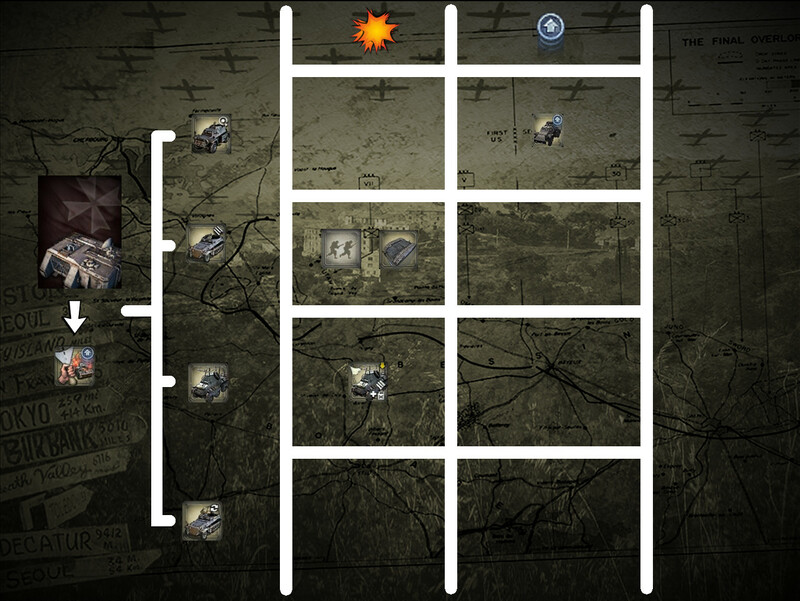 The only upgrade available in this building unlocks the Marder III and also the Panzerschreck upgrade in Panzer Grenadiers. The Tank Buster squad is a four men squad which shares the same abilities than the older version. The Marder III is the same unit as the old version. However, it gets significantly big stats improvement when using the lockdown ability. The Stummel Halftrack (Sdkfz. 250/8) is a unit specialized in combat against infantry units, equipped with the 7.5cm KwK 37 L/24 gun and a MG 42. The Assault Grenadiers are the same as the previous one, except for the squad size. The Anti-Tank Halftrack (Sdkfz. 250/10) no longer has the tread-breaker ability, but has a Stielgranate 41 ability (WIP). The Jagdpanzer IV/70(V) is available for this production building and has the armoured skirts as squad upgrade. 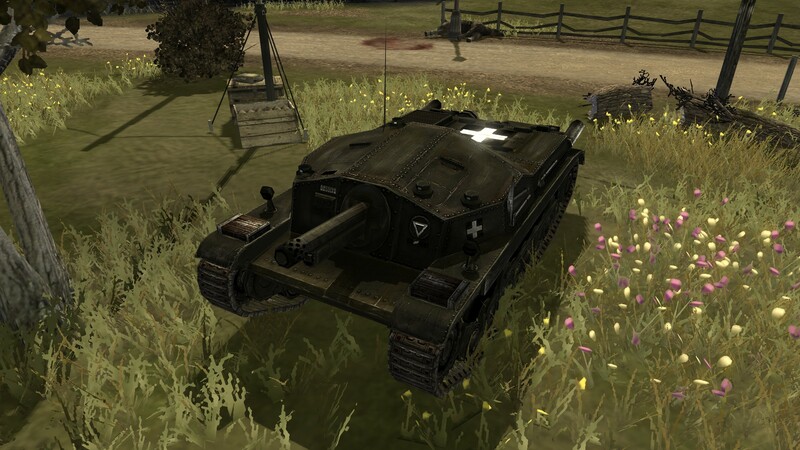 The Panzer IV Infantry Support Tank is also available, it no longer has the lock-down ability but features a new upgrade for it's main gun, improving it's stats against armoured vehicles by using the 7.5cm Kwk 40 L/43 as main gun. 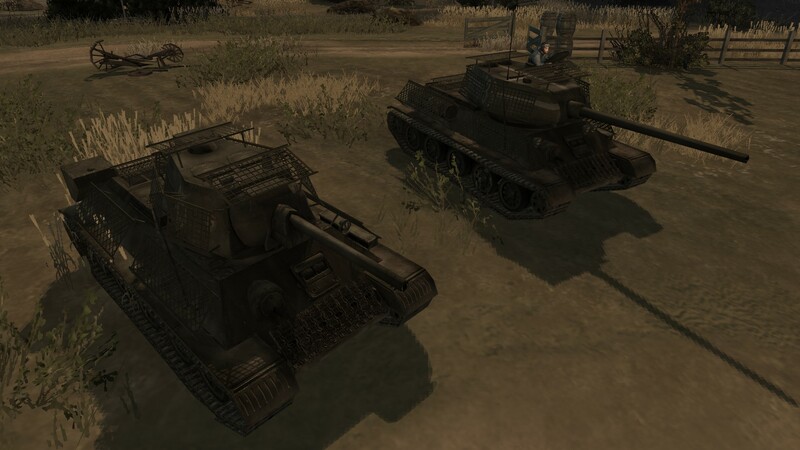 It shall be noted that Wehrmacht Panzer IV uses the L/48 version, which means this Panzer IV has inferior stats against vehicles compared to the Panzer IV used by the other factions. The Bergetiger is available and has no changes so far. 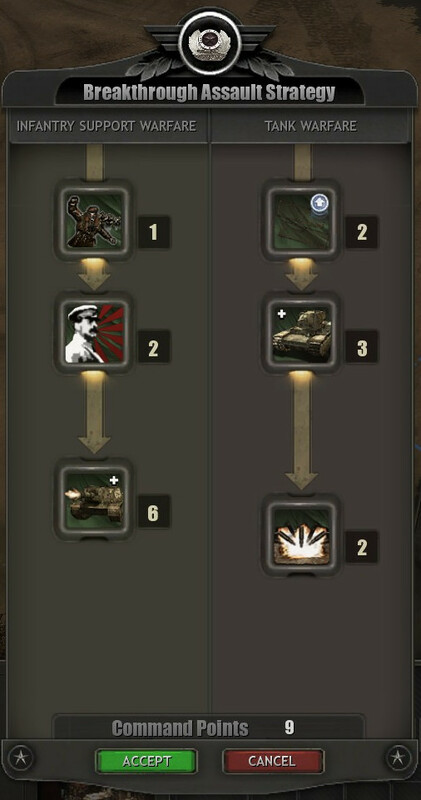 Regarding the Command Trees and the reward units, you can assume they are in a vanilla state, but the only change so far is the Nashorn being reward unit for the Jagdpanther. We hope you like the direction of these changes and then again, we would like to remind you these changes aren't final and they are still being tested. As the next part of the announcement, we have a surprise for you guys ! 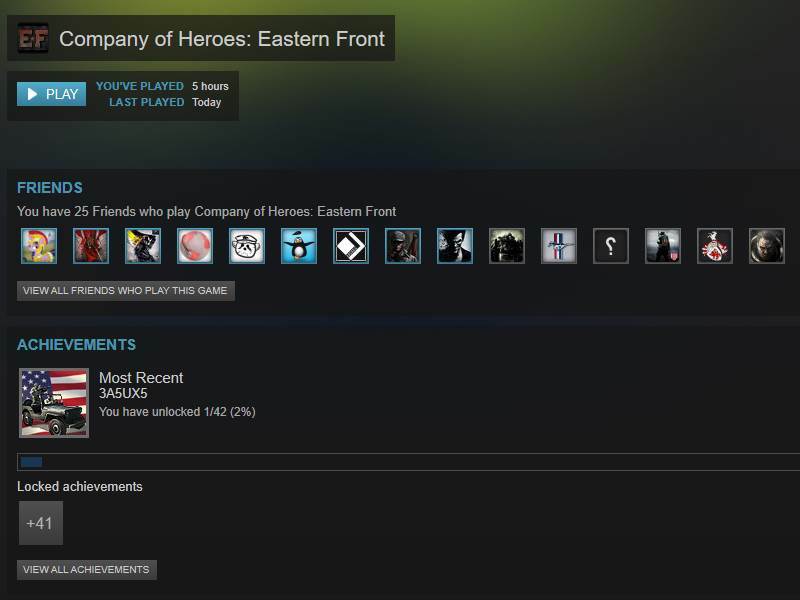 Company of Heroes: Eastern Front will feature Steam achievements!! Archaic Entertainment "Labs" never stops working to improve the mod . Head Researcher Walentin "Walki" L. has worked hard to make this possible. 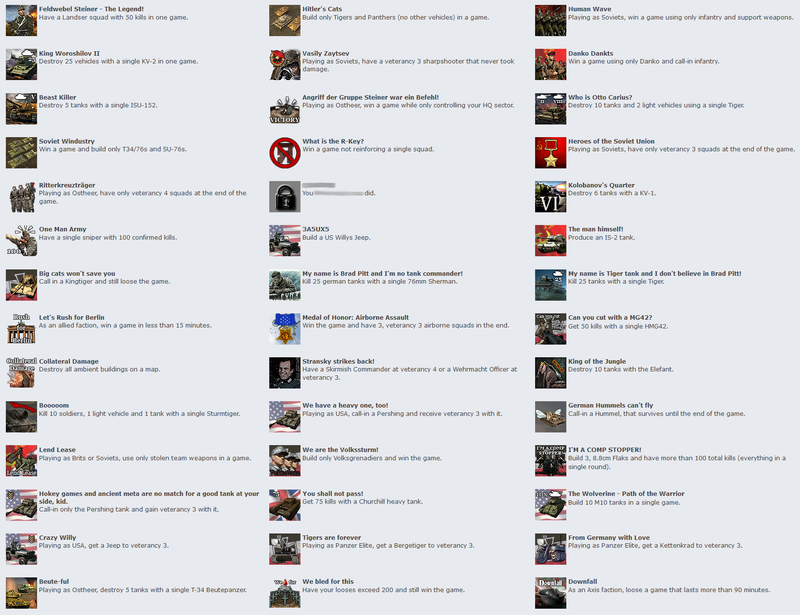 Here is the list of the achievements that will be available once the mod is released in Steam. 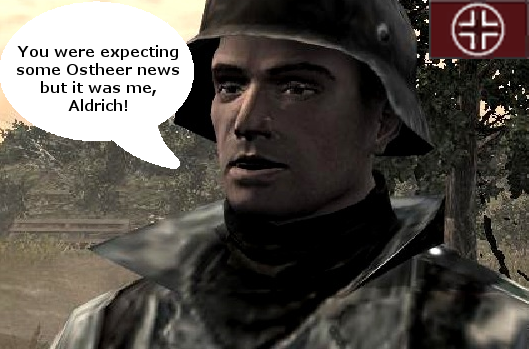 And for the last part of the announcement, we are proud to present the new Developer who joined Archaic Entertainment to help developing Eastern Front Mod! He is Ki McKenzie, known as ComradeCrimson/TrenchDog, and he will help us in the position of Voice Acting Director. 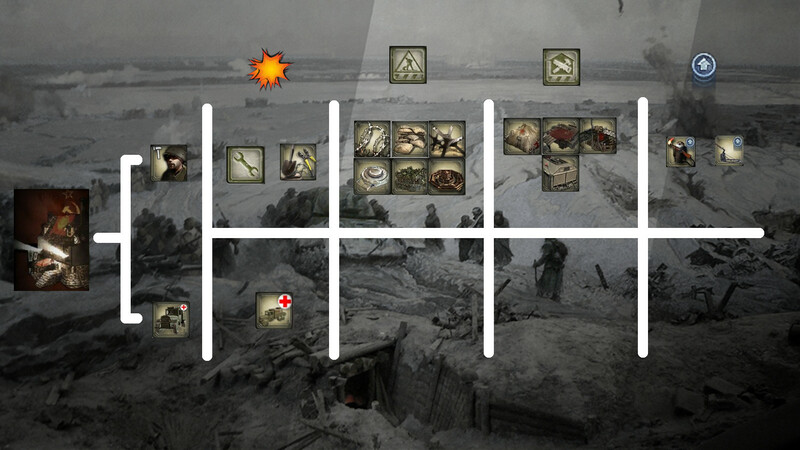 Yes, you aren't dreaming, Company of Heroes: Eastern Front will have new voice acting for the Multiplayer units and hopefully in the future Singleplayer missions as well . Here is his soundcloud page if you want to hear examples of his work. We are also looking for beta testers which have knowledge and experience in PvP to help us with the balance for the Steam version. For more information you can contact Hendrik (aka 'DarcReaver') by PM. And that would be all for now, we wish you a merry christmas and the next time we will announce the changes for the Ostheer Command Trees. For real this time . 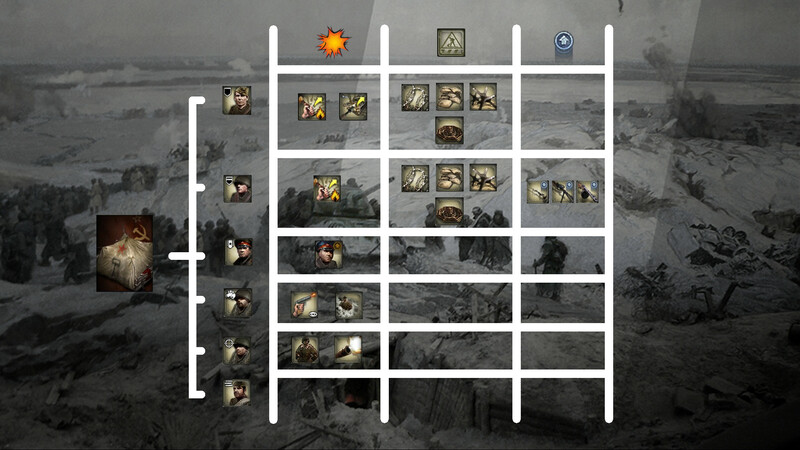 Today is time to post about the changes done to the Command Trees used by the Soviet Army. The changes are not as extensive as the ones made to the faction, nonetheless we think these changes are critical to find a better balance between the Tech Tree, the Command Trees and the Reward Command Trees we are going to implement later. [1 CP] Not One Step Back! : Your infantry cannot move but their defensive capabilities are increased. [2 CP] Shock Guards Reinforcement: Elite infantry squad equipped against every type of situation. [4 CP] Stalin Organ: Call-in for Katyushas. Shock Guards now grants a call-in ability to use Guard squads as reinformcements from offmap. They are equipped with anti-personal grenades, smoke grenades and anti-tank grenades, they also have one PTRS-41 anti-tank rifle and also a DP-28 light machine gun. They arrive ready to the party! [2 CP] ZiS-2 Anti-Tank Gun: Enables the ZiS-2 production permanently replacing the ZiS-3 field gun. ZiS-3 already produced can be upgraded individually. [2 CP] Large Scale Assault: Soviet industries allow to produce vehicles faster for a cheaper price. 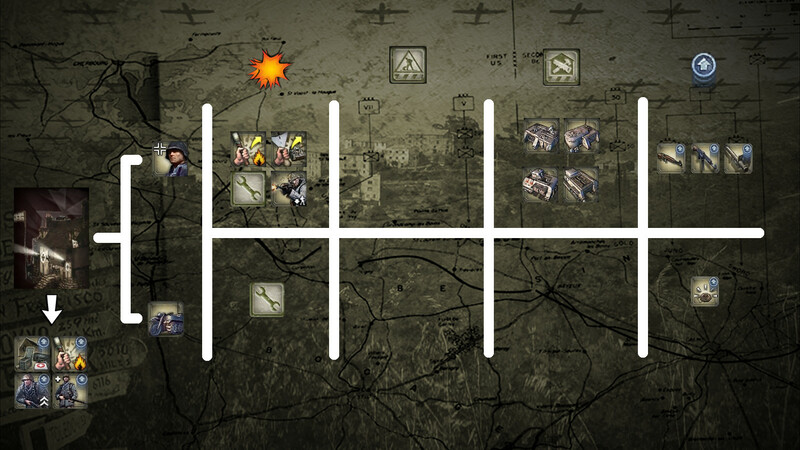 [4 CP] Air Raid: A squadron of IL-2 Sturmovik and Hurricane IIC ground-attack planes will strike the targeted area. 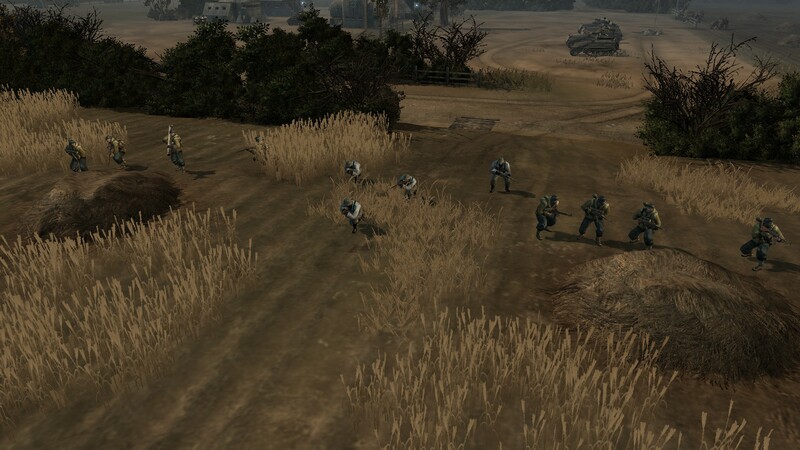 [1 CP] Impenetrable Defense: Machine gun nests get a defensive boost and can reinforce infantry based squads. [2 CP] Sturmovie Ingenery Reinforcement: Call-in squads of Ingenery equipped with body armour, PPS 43 SMGs and satchel charges. 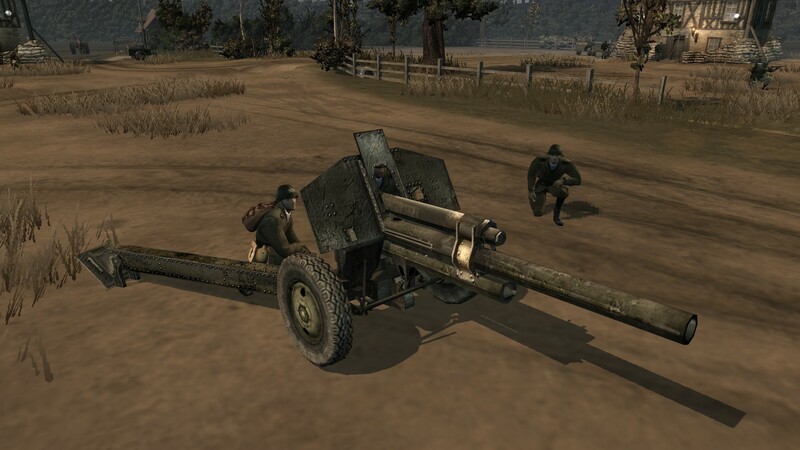 [3 CP] Artillery unit: A howitzer can be built by the Sturmovie Ingenery squads. 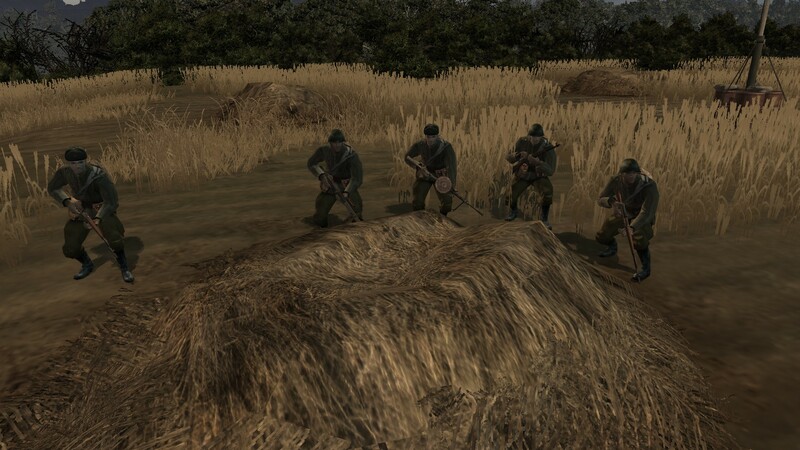 Sturmovie Ingenery make their comeback to the Eastern Front in the only way that can be done . They can build some advanced defensive structures like the Howitzer and the 85 mm air defense gun M1939 (52-K) which has been used in the past in the mod too. They can also build all the other defensive structures than the regular Ingenery squads can. The picture above just shows a place holder model, but those who have played EF in the past versions might find it familiar. If you are wondering why I use the word Howitzer instead of something more specific, that's because we are still thinking about what would be used. The picture shown is also a placeholder and only meant to illustrate how it will work. [1 CP] For the Motherland! : Infantry cannot be suppressed and offers modifiers to charge at enemies for a short period of time. 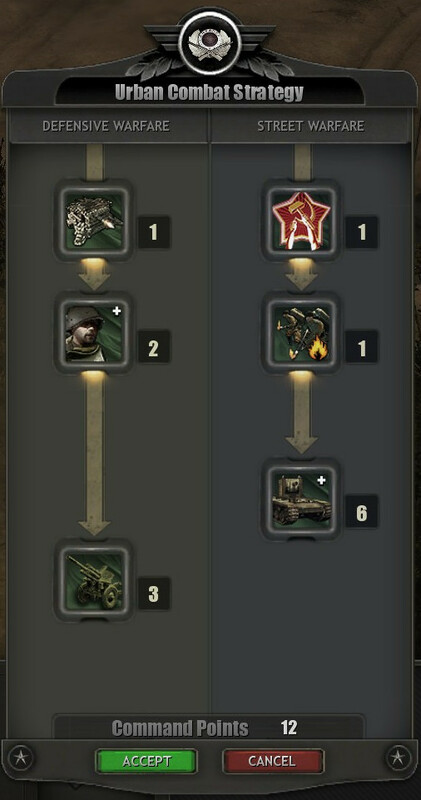 [1 CP] Street Fighting: Strelky gets incendiary grenades (replacing Molotovs) and Ingenery squads can purchase a second ROKS-3 flamethrower. [6 CP] Steamroller: Call-in for the KV-2 heavy tank. 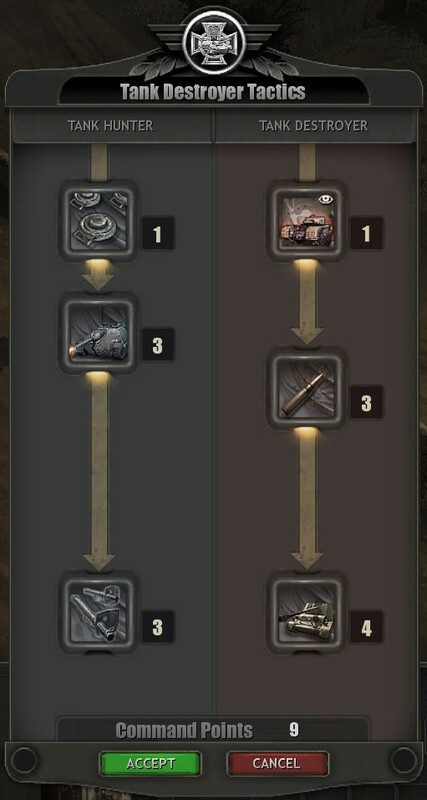 Additionally, this command tree unlocks the Mine Roller upgrade for the T-34/76 and the T-34/85 tanks, which means this upgrade is exclusive for this tree. [1 CP] Infantry Storm: Improves the suppression threshold for infantry units and lowers their build time. [2 CP] Inspiring Speech: Infantry will sprint for a short period of time. [3 CP] The Juggernaut: Call-in the ISU-152 Zveroboy. 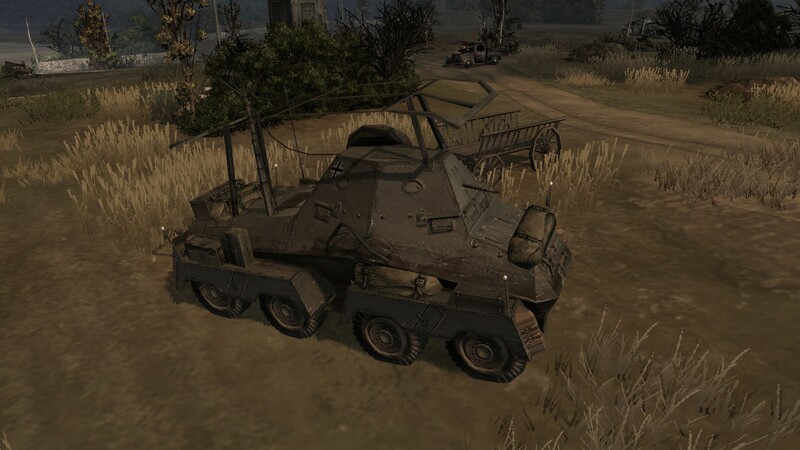 [2 CP] Armoured Spearhead: The T34 series of armoured units and it's variants are granted cage armour. 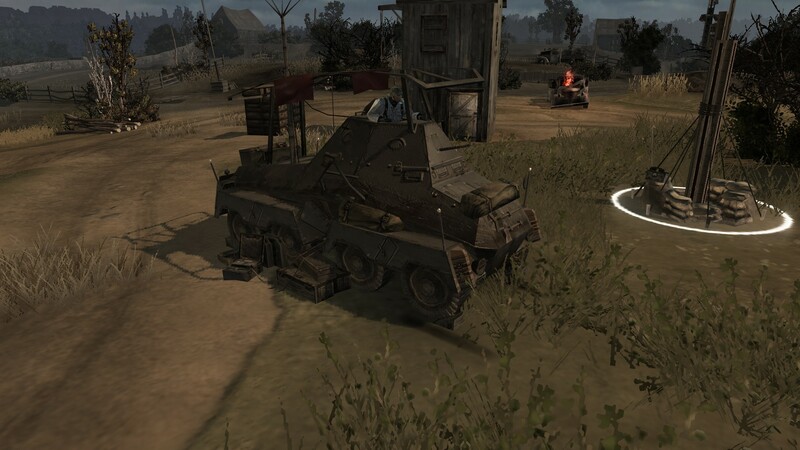 [3 CP] KV-1 Heavy Tank: Calls a KV-1 heavy tank as reinforcement. [2 CP] Breakthrough Artillery: Artillery ability to decimate enemy defenses before advancing. 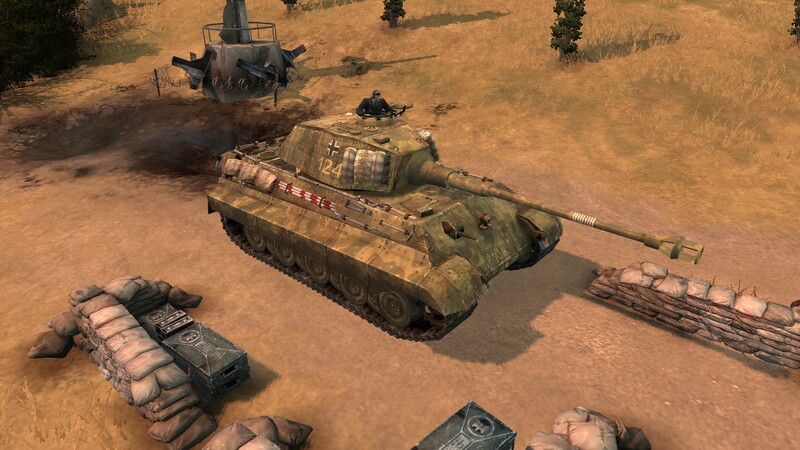 The armoured units who benefit of the Armoured Spearhead upgrade are the T-34/76, T-34/85, SU-85 and SU-100. All of them receive the free upgrade right after the upgrade is purchased. The Breakthrough Artillery consists of 3 rounds of heavy artillery used upon a targeted area (mortar shells, katyusha rockets, heavy artillery shells) and a fourth one of smoke shells to cover the advancing infantry and vehicles. And that would be all for now, next time we will announce the changes for the Ostheer Command Trees and it will come very soon! 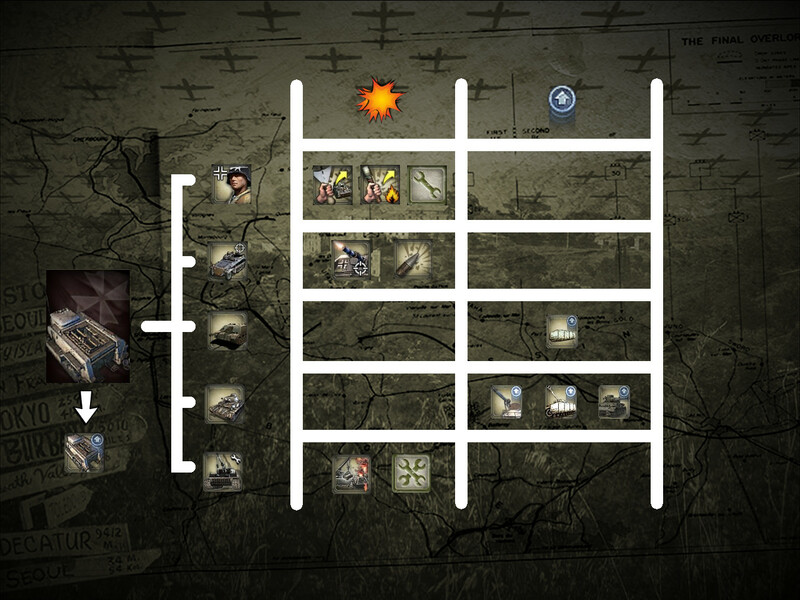 This day we bring to you the new tech tree layout for the Ostheer faction. If you thought than Soviets in the previous update got huge changes then Ostheer ones would be even bigger! The main problema we faced with Ostheer is the pool selection system, what the players think of it? What can be done to improve it and not make the gameplay boring? Are the units we use justified for the pool scenario we handle? Aren’t too many units for Ostheer? Infantry Modernization: Which provides up to two levels/upgrades to improve infantry. 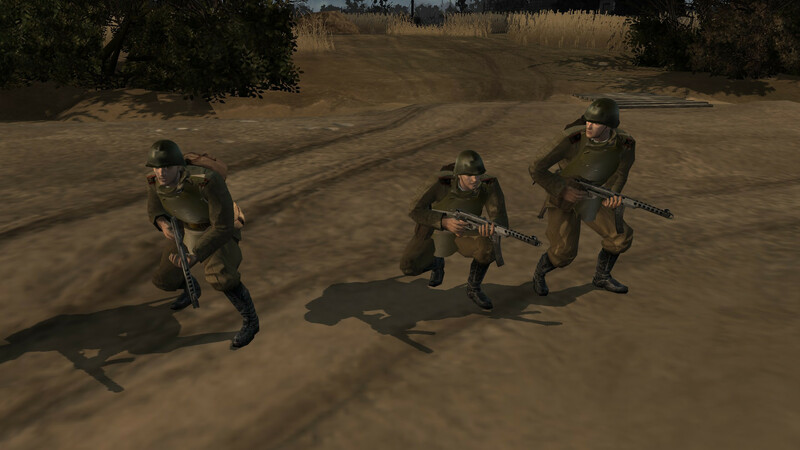 First one grants anti-personal and anti-tank grenades in different type of abilities, depending of the infantry unit; second one grants special weapon upgrades to infantry squads. Support Vehicle Modernization: Which provides up to three levels/upgrades to unlock armoured support for Ostheer. 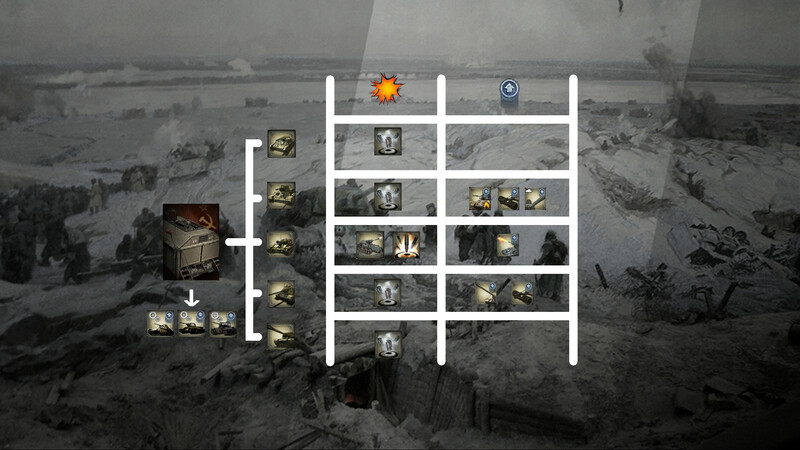 First one unlocks vehicles such as Halftracks, Panzer IIIs and StuG IIIs; second one unlocks the Panzer IVs; last one unlocks Panther tanks. Armor Skirts Research: There is also a third new type of global upgrade which grants all the armoured units (that can be upgraded of course) in the field with armoured skirts. The Famo is available in this building, although it requires the first Vehicle Modernization upgrade to be produced. 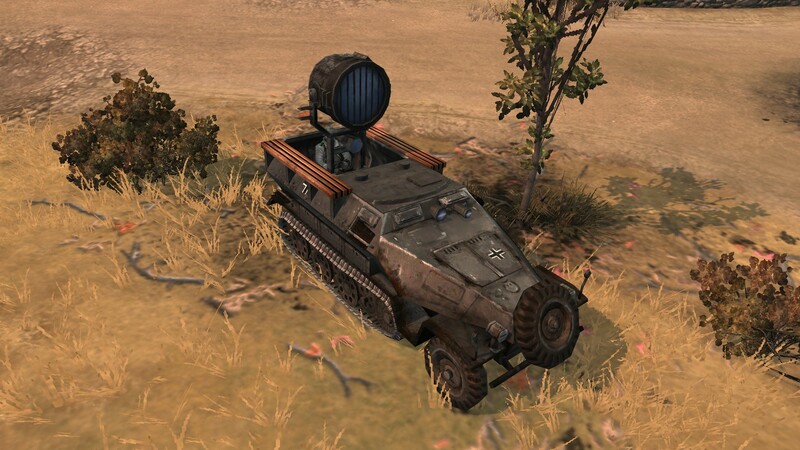 The Sturmpioneers have mostly the same skills, however, they now have the panzerfaust ability as anti-tank measure and can build Observation Posts (since the Opel Maultier is no longer available). 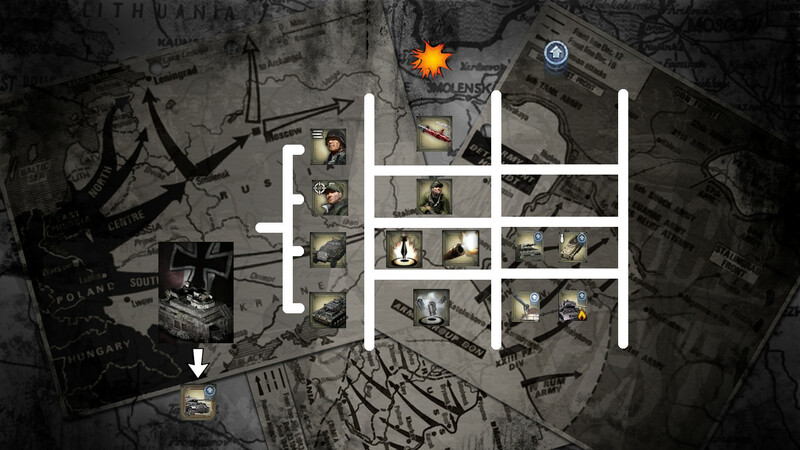 Also, Panzernests are the base defense buildings now and no longer tied to the Fortress Army Troops Tree. It is not shown in the pictures, but actually their OP building is the concrete emplacement and not the one used by Wehrmacht and American forces. This building now features this selection of units. The Skirmish Commander has now two abilities related to air support: A recon one and a bomb strike one. It also continues to offer a passive aura which effect vary depending if the player researched the Assault Pool or the Support one. 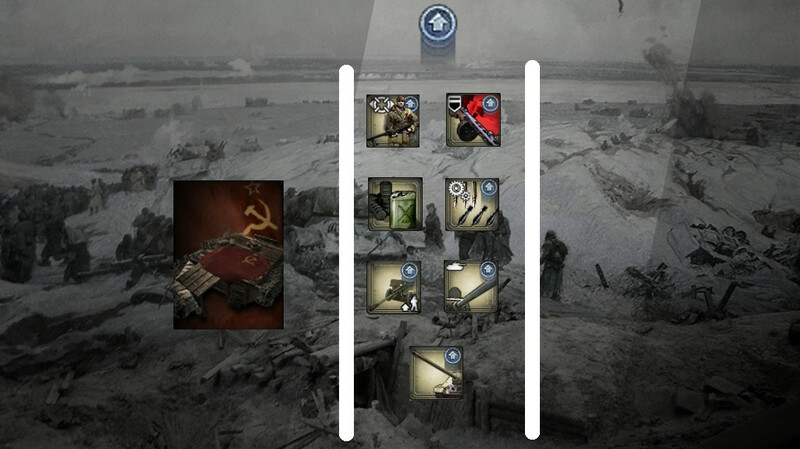 Landser squads have the skills to build some defensive structures and to purchase weapon upgrades in the form of the Mkb42 (H) or the Panzerschreck 43. They also can get anti-personal and smoke grenades. 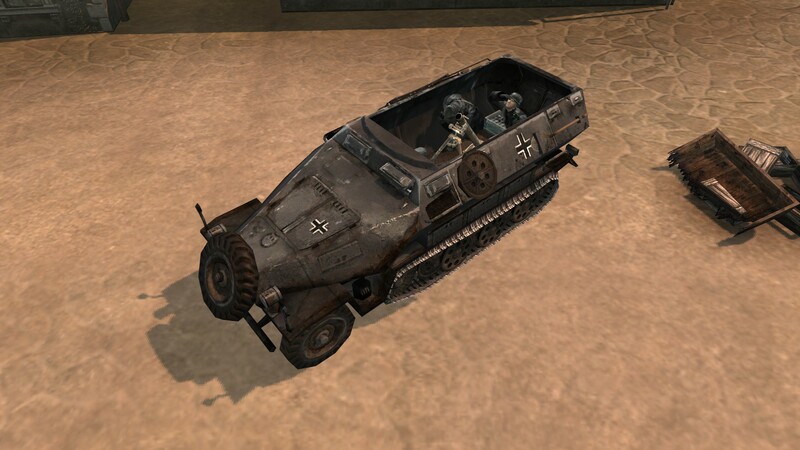 The Kubelwagen remains the same (no upgrade, both weapons available from the start). There is an armoured vehicle counter in this building, the Pak 97/38, which is a combination of a 75mm French field gun barrel with a new muzzle break attached to a Pak 38 carriage. It’s penetration is lower than the Pak 38 but still enough to combat medium tanks without problems. It can use HEAT rounds. Although, the Pak 97/38 was temporary a solution against the new Soviet armour due to the lack of power of the Pak 36, the real anti-tank solution was being produced at the same time, and it is the Pak 40. 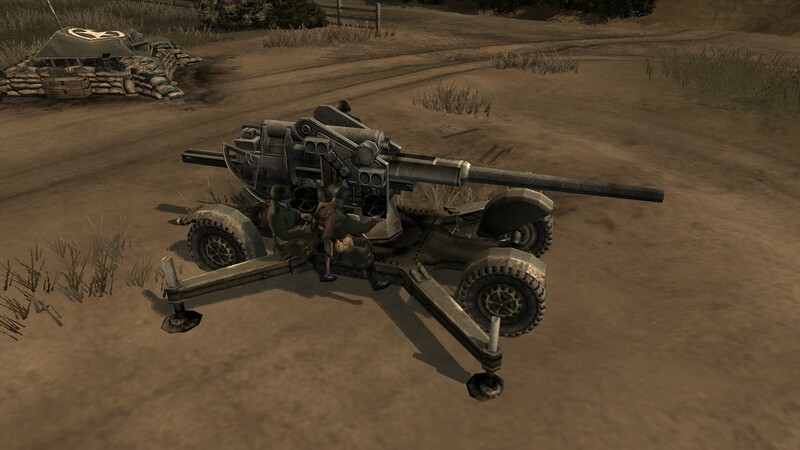 The Pak 40 requires the Support Vehicle Modernization level/upgrade 2 and can fire Panzergranate 40 rounds. The Pak 40 replaces the Pak 97/38 in the production building, but the units already deployed in the field won’t be replaced. This production building is unlocked after the Tier 1 building is finished. 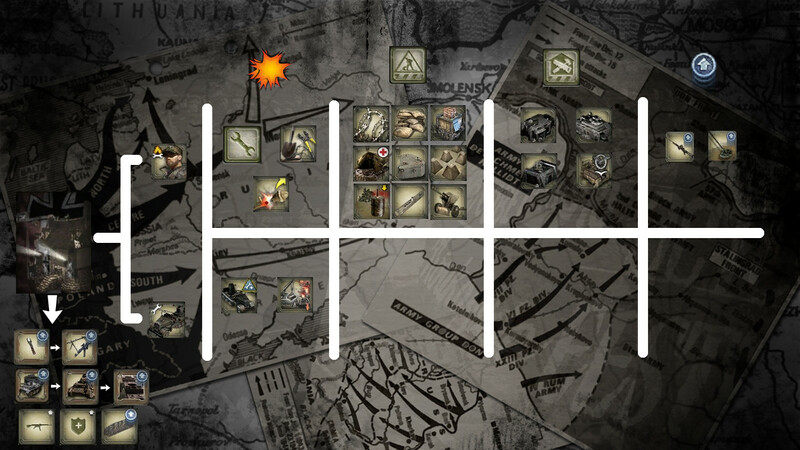 The units it can produce are Heavy Machine Gun teams, Marksman squads, Halftracks and Panzer III tanks. It has a single global upgrade that improves the Panzer III main gun and chassis and affects all the units already produced or to be produced. Heavy Machine gun teams and Marksman squads remain with little changes, so you can say they are practically the same than in the previous version regarding their functions. Halftrack squads can transport only one infantry squad whose size is up to six members. 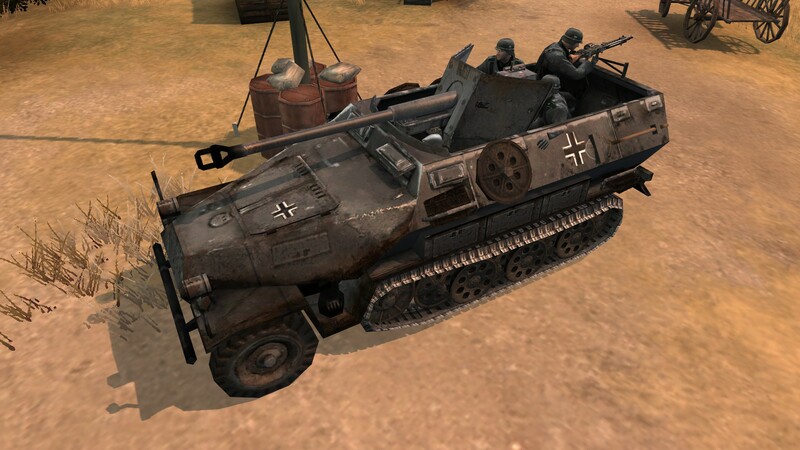 It can be upgraded into the Mortar Halftrack (Sdkfz. 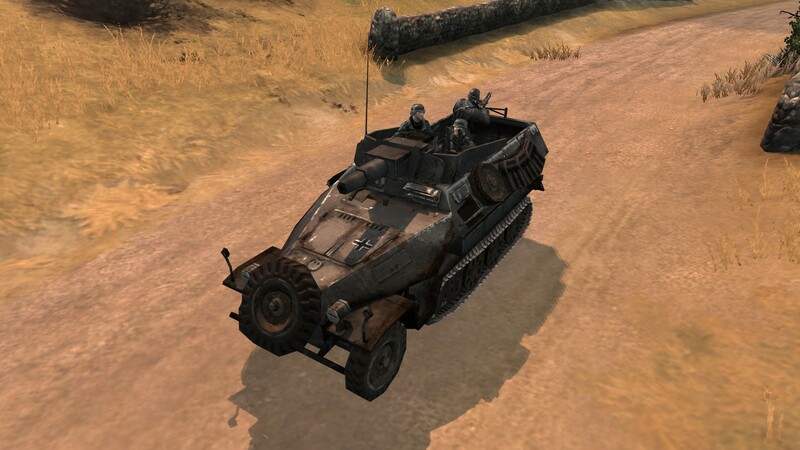 251/2) or the Drilling Halftrack (Sdkfz. 251/21) depending on the Pool selected. 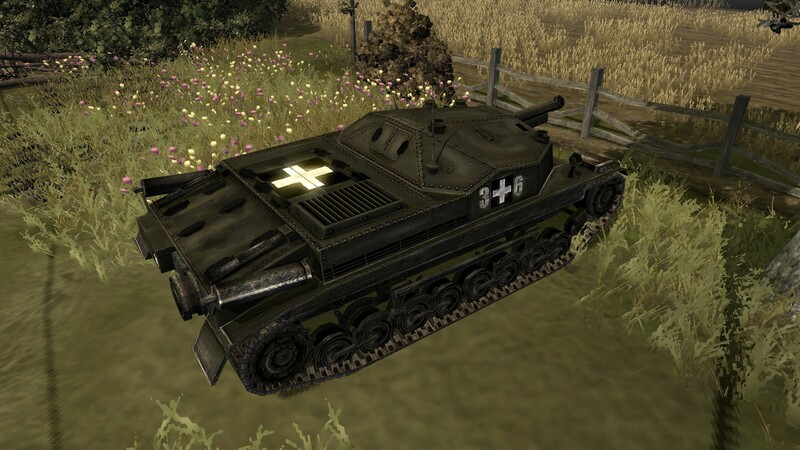 The Panzer III has now two cumulative upgrades: Purchase the top gunner (AA MG 34) and to make it a Flammpanzer III, replacing their anti-tank capabilities for anti-personal ones. And has a smoke ability to help to escape when in a pinch. 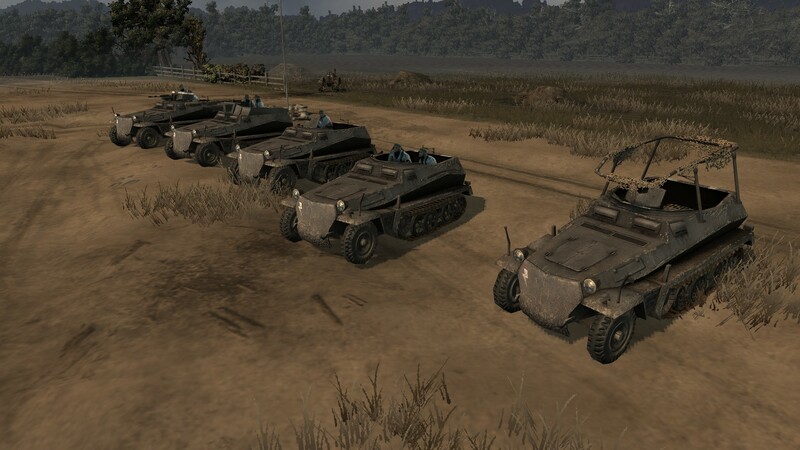 This production building has the following units to recruit: the leIG 18 team, the Panzer II “Luchs”, the StuG III, the Panzer IV and the Panzer V “Panther”. It is unlocked after the Tier 1 building is finished. 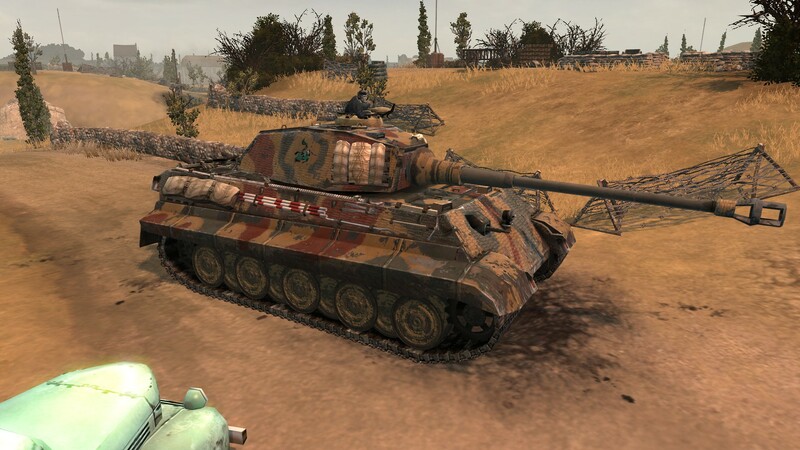 It also has two global upgrades available for the player: One for the Luchs that allows the vehicle to use phosphorus rounds; the other for the Panzer IV and Pak 40 that grants the Panzergranate 40 rounds. The leIG 18 is an artillery unit, that can be relocated anywhere where is needed. I cannot autofire, but has a barrage ability. 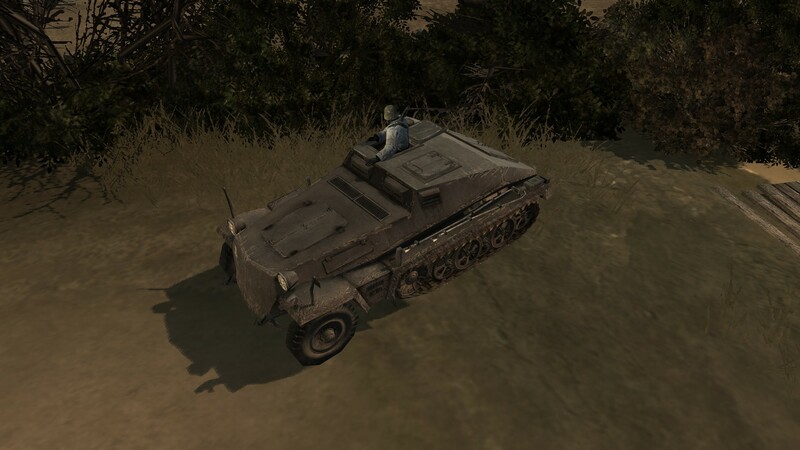 The Luchs is a fast light vehicle used for recon purposes and has a 20mm KwK 38 cannon which makes it excel in against infantry skirmishes. The StuG III is an important asset against heavier armoured units, and has a camouflage skill which helps it to ambush enemy units. It can be upgraded with a MG 34 gunner. The Panzer IV has also a camouflage skill and can be upgraded with a MG 34 gunner. 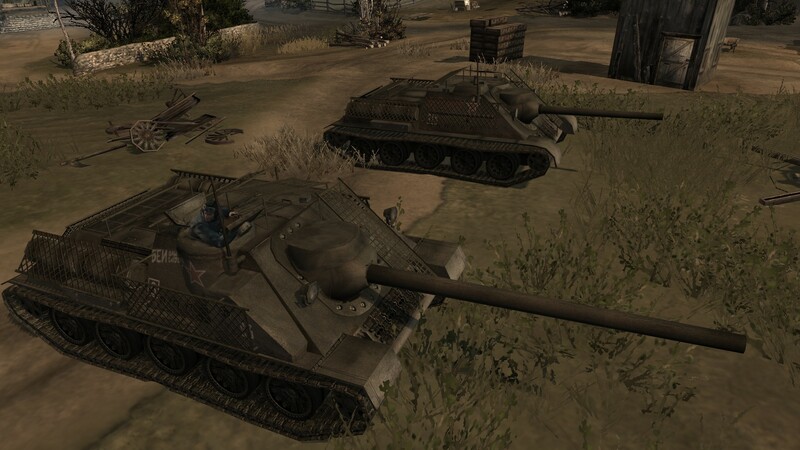 The Luchs, StuG III and Panzer IV have the same smoke discharge ability than the Panzer III. 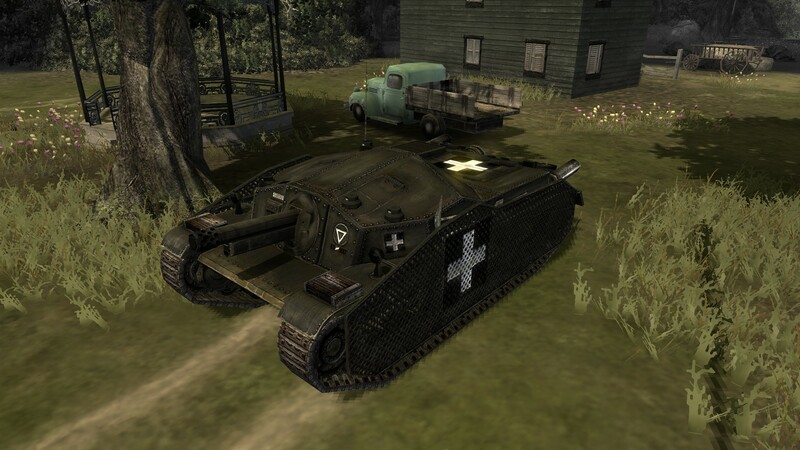 Once unlocked, the Panther will replace the Panzer IV production but it won’t replace already deployed units. It can also be upgraded with a MG 34 gunner. 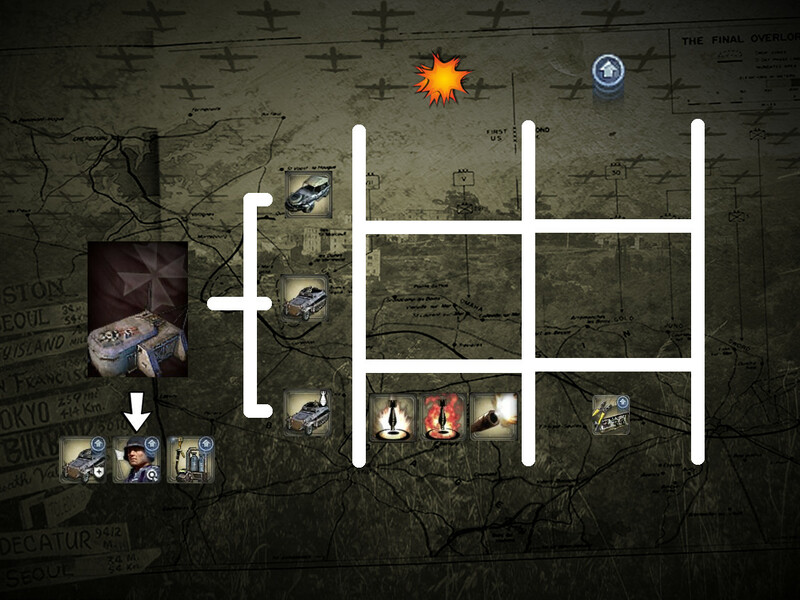 This is a new support building which makes use of the Luftwaffe Forces to improve the flow of the Ostheer gameplay. This building requires the Tier 1 to be finished to be unlocked. The first set of upgrades are named Army Supplies I and Army Supplies II, which lowers the manpower upkeep. The second set of upgrades are named internally Luftbrücke I, Luftbrücke II and Luftbrücke III (which would be Luftwaffe Air Bridge I, II and III in English - WIP) and increase the munition income for the Ostheer player. The third set of upgrades are meant to unlock the Skirmish Commander squad abilities. Close-Air Support I and Close-Air Support II, the former unlocking a bf-109 to recon a requested area and the latter which unlocks a Stuka air strike which drops a bomb in the targeted area. Building this advanced structure also grant the Ostheer player of two abilities: Medikit Airdrop and Brandenburgers. Both are more or less the same as they were in previous builds. 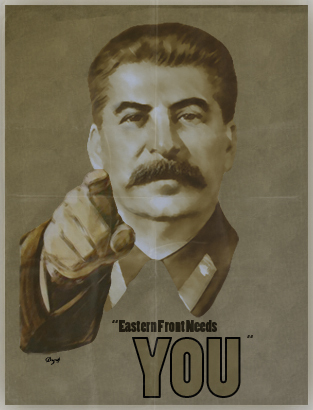 This would be all for this new update, but before finishing we need to say this: Thanks to the beta testers and balancers who gave us feedback to continue working into improving Eastern Front, without this we would have been in the limbo for more time. Also, we proudly announce we have a new member helping us with the models we still need to do to release in steam, his username is Dark Sentinel. Thanks to him we can dream for a better release date. 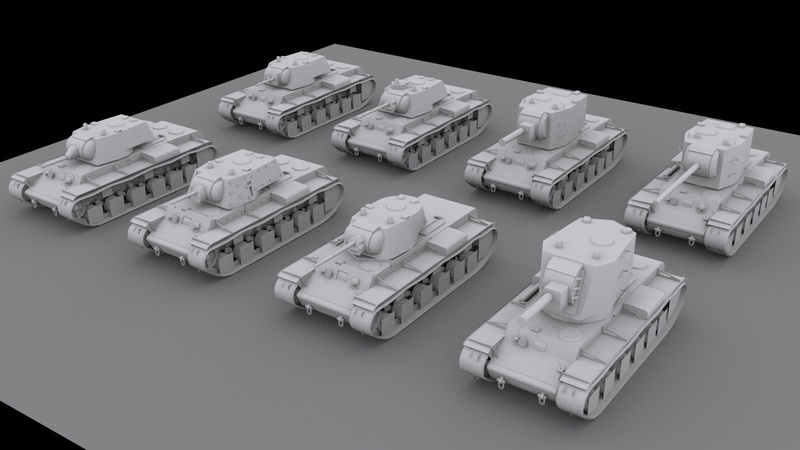 Here is a screenshot of the new KV series tanks, made by Dark Sentinel. If you have any inquiry or comment feel free to leave it in the comment section, we will try to answer as fast as we can. Also, if you have a bug to report, remember to do it in the Bugs & Tech Support section in our forums (and remember to read the stickied posts before posting). This topic has been moved to Steam Beta. 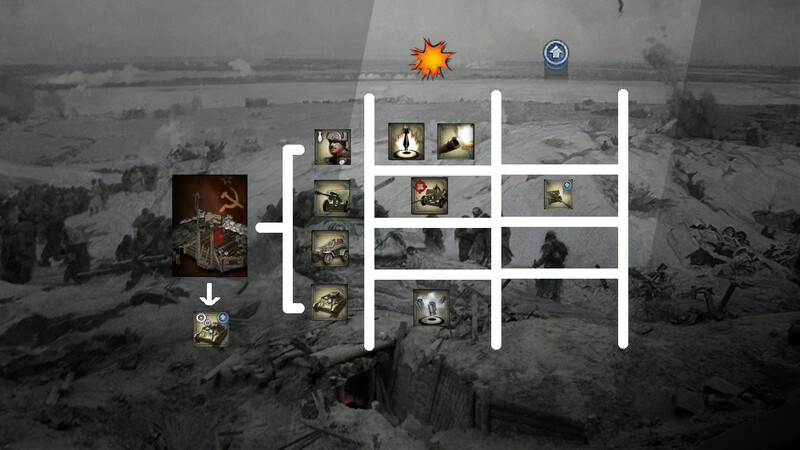 This topic has been moved to Eastern Front.